It is easy to call the iPad a magical device, but in the hands of someone with autism, it truly can be magic. Apple recently released videos showing just how much an iPad can help give speech to those who have difficulty communicating their thought. Dillan's Voice and Dillan's Path are both inspirational and educational, demonstrating the great strides tablets have made in helping improve the life and development of those who fall within the autism spectrum, especially those whose verbal skills have been challenged. The iPad can be invaluable in learning to communicate. Studies show that the interactive nature of tablets can help kids begin the process of learning language at an earlier age than observation and other teaching methods. As with any form of childhood education, interaction is very important. 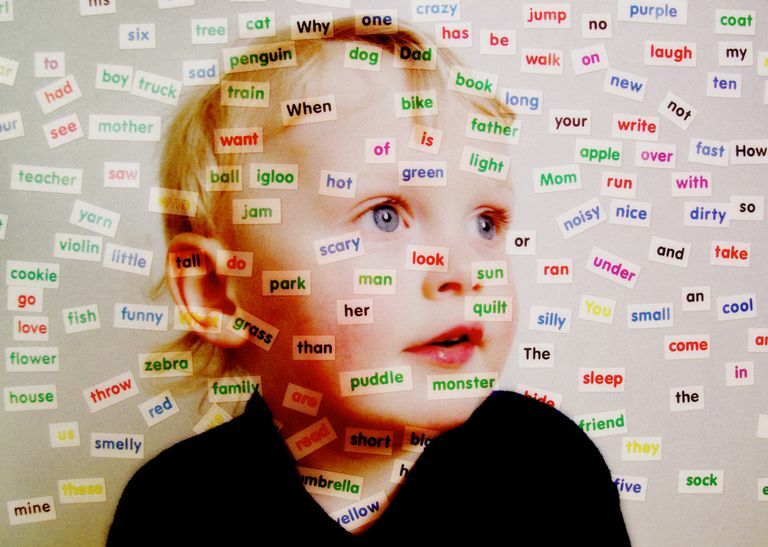 Autism Speaks recommends apps with lots of pictures that can speak words when touched. They also recommend playing games together and speaking your actions when it is your turn. The iPad also has the ability to provide Guided Access. This accessibility feature locks the iPad into an app, which means the iPad's home button cannot be used to quit from the app and launch a new app. You can turn on Guided Access in the accessibility settings within the general section of the iPad's Settings app. If you believe your child may have autism spectrum disorder or may be having some other challenge with their development, you can download the Cognoa app to help find out if your child's development is on track. The app also allows you to submit a video evaluation and gives access to parent support groups. This is not a substitute for seeing a doctor. Augmentative and Alternative Communication (AAC) apps, especially that use symbols or images for speech, can be life changers for those with verbal challenges. These apps can literally give speech to those that do not have it and provide invaluable assistance to those on the path to speech. Proloquo2Go offers multiple levels of communication to tailor the app to those who cannot verbalize at all to those who simply need help getting out a complete thought. It also provides support for language development and is easily customized. Avaz Pro. While Proloquo2Go is a great app for anyone with speech issues, Avaz Pro is tailored specifically for those with Autism, especially children. Avaz Pro also helps track verbal progress. LAMP Words for Life. LAMP Words is a direct competitor of Proloquo2Go that follows the Language Acquisition through Motor Planning (LAMP) principles to assist with learning to verbalize. Sono Flex. Also known as Tobii Sono Flex, this is a cheaper alternative to Proloquo2Go that provides over 11,000 symbols and the ability to use your iPad's camera to create new ones. Visual schedules can be an invaluable tool for both keeping your child on track and giving them a degree of independence. Humans are very visual creatures as a rule and visual cues can be a very powerful way to organize the daily schedule. This for That provides both a visual schedule with a high degree of customization and the option to include a picture of the reward for completing that particular task. And perhaps best of all, This for That is provided for free by the Center for Autism and Related Disorders. Perhaps just as important as keeping your child on a schedule is keeping yourself organized. This is hard enough for any parent, but for the parent of children with autism, it can be truly overwhelming. The need to keep track of daily routines, new diets, meltdowns, medications, supplements, sleep cycles and the many other areas that might help link cause (diet, stimulus, etc.) with effect (meltdown, poor sleep, etc.). Birdhouse is designed specifically for parents, guardians and mentors of those with autism spectrum disorder. It will not only allow easy recording of medications, therapies, ​diets, meltdowns and the dozens of other things that must be tracked, it also makes it easier to organize and share this information. Another great app from the Center for Autism and Related Disorders, this one deals with education and development through therapeutic games. Who doesn't like to play games? Camp Discovery is broken into assessment, learning trials and mini-games that serve as a reward. The app also tracks your child's progress and allows the parent to personalize the experience. While not specifically made for kids with autism, ABA Flash Cards covers all of the basics and is a great learning tool for any kid. There are multiple game types that combine audio and written words and the ability to create your own cards by taking a picture and adding your own voice. The identification of emotions is important for any child, but it is especially important for children with autism. This makes these ABA Flash Cards invaluable. Visual storytelling is a powerful tool for children with autism spectrum disorder. Pictello can be used by parents, teachers and/or therapists to craft fun stories, to share events or to create specific stories that focus on areas and concepts that can be important to learn such as improved eye contact, sharing, etc. Each page of a Pictello story combines a picture with words and the ability to either use text-to-speech or record your voice to complement the page. You can even add your own short video clips. Playback includes page-by-page or an automated slideshow option. An alternative to Pictello is Kids in the Story, which allows kids to create their own picture story books. The app features various templates that you can place your child's picture into to make the story really come to life for your child. The stories cover important topics such as washing hands and exploring emotions. Kids in the Story also allows some customization by letting you edit the story and record your own voice as the narrator. You can also share stories by email or save them to PDF files. Endless reader combines visual and audio learning with fun animations that allow your child to read and put together the "sight words" that are so important for early reading. After the animation, your child can move the letters into the word to spell it, and as the letter is moved, the app reinforces the phonetic sound of the letter. Endless Reader provides a great opportunity to interact with your child as they learn. One fun way to use the app is to ask your kid to "get the 'L'" to help with identifying specific letters. Originator also makes Endless Numbers, a great app for improving number recognition. The folks at Toca Boca do a great job of creating apps that are fun, engaging and provide great learning opportunities. Toca Store is a great way to introduce a kid to basic math while allowing them to explore the idea of shopping in a store. Among the other great Toca apps are Toca Band and Toca Town. Toca Band is really great for allowing a child to explore musical possibilities, and Toca Town allows exploration of groceries, restaurants, cooking, picnics, having fun at home and all sorts of adventures. Have you ever wanted a TV show aimed specifically at kids with social and emotional challenges? FlummoxVision is that show. It is designed to engage with kids who have autism spectrum disorder or other struggles with emotions or social situations. The premise of the show revolves around Professor Gideon Flummox who is working on inventions to help with the understanding of other people. While most of the apps on this list are geared towards helping those with autism spectrum disorder, this app by Duke University is aimed at learning more about how video technology can aid with screening for autism. The app shows four short videos while the camera records the child's responses. It also includes a survey. The study that Duke University was conducting with the app is now complete, but the app is still a valuable Autism screening application.